Captiva is a tiny little island – only about five miles long. It’s a wonder that such a small island can offer such big pleasures. It starts with the beautiful white sand beach described so lovingly by the travel experts. And a cornucopia of things to do – world famous restaurants, wonderful shops, theatres, museums and a thriving art community. Plus all the things you need on a vacation – fishing, boating, biking, tennis and golf. If you want your vacation to be in a funky, laid-back island with welcoming, down-home neighbors and a world of pleasure at your door-step you need to go to Captiva. The rental real estate opportunities for vacationers is wide and varied. 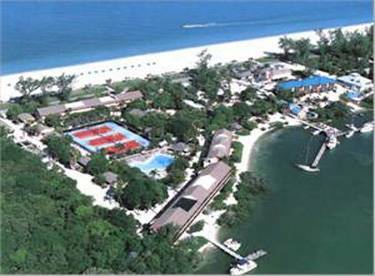 You can stay in one of the many homes, villas, cottages or condominiums such as Tween Waters Inn. This charming, legendary property is located on Captiva Drive, convenient to everything. It offers every conceivable amenity to make your vacation memorable. There are 13 acres with the front of the property facing the Gulf of Mexico and the rear facing Roosevelt Channel and the bay waters. The Inn has 137 rooms and cottages. There are standard guest rooms, studios and suites plus 19 historic cottages with up to 3 bedrooms. The Inn has an olympic size pool, 3 tennis courts and a fitness center, 3 restaurants plus a pool-side bar and grill, a full-service marina and a clothing store. If you want beach time there is the beautiful white sand beach. If you want calmer waters you can rent a canoe, kayak or boat at the marina and enjoy the quiet waters of the bay. This is a very casual, family-oriented community that makes it very easy to have a wonderful vacation. Gopher Enterprises will work with you to find the right place. Gopher Enterprises is the first vacation rental firm on the islands. It was founded over 30 years ago and they have served successfully ever since. Their success is measured in the number of families that come back to them year after year for their caring and skillful services. Whatever the need Gopher Enterprises will be there to make sure you get it. They are able to do this because of the local relationships they have developed over the years. The quality of their service is based on the local nature of their business. They don’t just know the market, they live in the market. Let them help you find the right place to rent so you can enjoy that special island vacation. Call them and experience the Gopher Quality. Rates include continental breakfast; Rates based on double occupancy except in suites, and two and three bedroom cottages; additional person charge is $15/person/day; 11% tax additional; rates do not apply during holiday periods; other conditions apply.